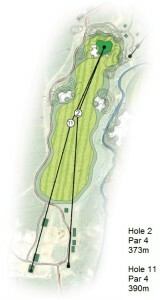 The fairly wide par 4 opener allows one to find a rhythm and set the tone for what is to come. The tee shot is framed by two fairway bunkers on either side of the fairway. 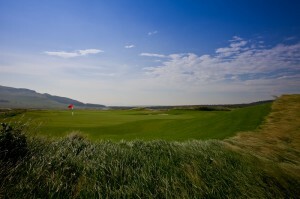 Although flanked by the two bunkers, a generous 75 m wide fairway awaits to receive your tee shot. 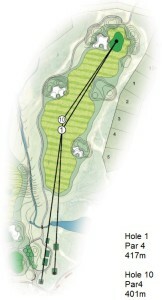 The second shot is a fairly simple one with a large bail-out area to the right of the green. The green is draped between a series of mounds, in the form of an amphitheatre, creating a great ending to a “loosener” of an opening hole. The second time around, a slight change of tee shot angle brings the short right bunker and thick veldgrass to the right, into play. The tee shot off the 2nd hole now not only requires accuracy, but also distance control to thread the ball through the middle. The bunkers are placed 265m from the back tee, making sure the longer hitter keeps it straight. 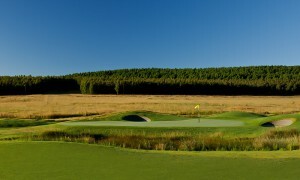 The shorter hitter, however, has a large fairway to find before negotiating the approach to this well protected green. The green is perched, with two bunkers short on either side. Beyond the severe pot to the right, the fairway falls away toward the natural drainage gorge. Be sure to hit this green or lay-up short as anything to the right or long is trouble. Again sees a slight change of tee shot angle bringing the right fairway bunker and ravine, more into play. A well-shaped tee shot is required here to set up the approach. 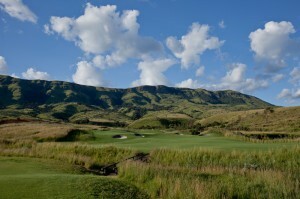 The start of Vulintaba’s hidden golf jewels. The next series of golf holes will truly test even the most skilled golfer. 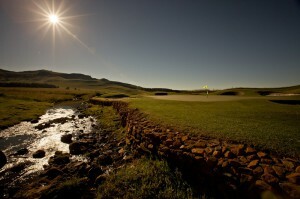 A picturesque golf hole carved alongside the deep gorge that cuts through the site. The fairway is beautifully formed, flowing lines and organic movement makes for the stunning shadows in the early morning and late afternoon. The second shot leaves one with a number of options. 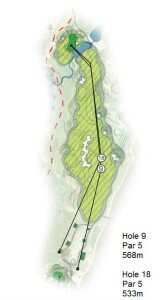 As a long par 4 depending on how the third shot is envisaged, 3 lay-up areas are available. The first being short of the first stream, leaving a fuller shot into the perched green. The second is an island placed between the two streams, and the third being the space short of the green leaving a short pitch for your third. The green is held in place by an array of pot bunkers, ensuring a carried approach to find the green. The green is generously sloped from back to front. Gentle “shelves” have been created, defining “pin-able” areas on the green. The false front also adds to the difficulty of the putting surface. Par 5 playing a touch longer than before, opportunity in finding the green in two shots for the longer hitter, really makes this hole exciting. 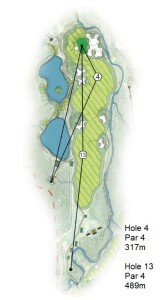 The 4th is shortest par 4 on the course. Playing 317m directly at the green means lots of birdies and as many bogeys. Bunkers positioned from 50m to 80m from the green, defines a landing area to the right side of the fairway, bringing the gorge into play. The longer hitter can choose to take the green on from the tee. However, a well-protected, softly raised green means pin-point accuracy to find the putting surface. 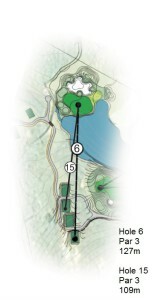 An impressively long par 4, playing at 489m off the back, requires a crisply struck tee shot to set up one’s approach. 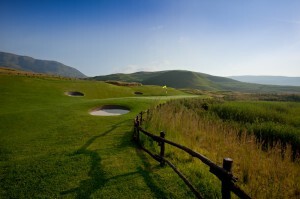 Although very long, as with all the holes on Vulintaba, a complex of tees at varied distances allows all capability levels to compete. A fantastic par 4 with trouble on either side – the green is placed in a wide amphitheatre with large bunkering creating an impressive visual. A generously sized green closes out the hole. 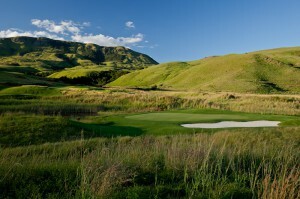 Along the hillside, this is the first of the front 9’s par 5’s only playing 481m from the very back. 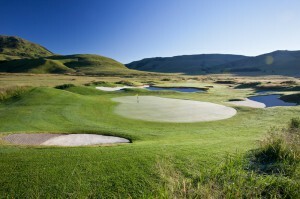 Two large bunkers guard the right side of the fairway as you hit your tee shot slightly down the hill. 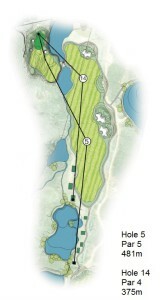 Being the shortest par 5 on the course, reaching in two really becomes an option. Going for the green in two requires a shot played back over the stream on the left, to a perched green cut into the hillside. If one opts to lay-up, you can choose to play down the fairway, which will leave you with an uphill shot to this narrow green, or you can cross the stream to a fairway short of the green. This sets up an easier approach as you play along the length of the green. This hole plays as a par 4 at 375m. A bunker at the end of the fairway leads the way for the tee shot. Water guards the front and will force most players to over-club and contend with the sharp bank to the rear. Three pot bunkers guard the front and back of the green. The longer hitters can be rewarded with taking some risk. Tiger line can get you to the green with a small patch of fairway short of the green. 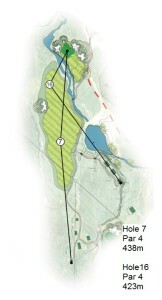 The 6th plays as a short par 3. Only 127m from the back, do not let distance deceive you as the elevation change from the green to tee is over 10m. The prevailing wind also cuts across the green from the right making the target inevitably smaller. With water on the front and right side of this green, club selection on this hole is imperative. This hole plays similar to the 6th but slightly shorter. Club selection is key once again, and with a shorter club in hand, spin control is important. The 7th plays down the hill to a large fairway which only starts to narrow as the water comes into play. A bunker on the left is a perfect target for most players. Further down the fairway, the stream really comes into play as it crosses just short of the green, forcing a carried approach. Bunkers are dotted all around with one pot bunker protecting the entrance to the green. A true test of shot making. The 16th tees are placed well to the right which turns the hole into a dog leg, entirely different to the 7th. Playing toward the fairway, both the water and the bunker come into play. But after reaching the fairway, one is left with a short iron. 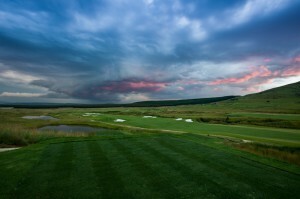 For the brave, a drive at the green is definitely on the cards. With the prevailing wind off the right shoulder, this setup makes for exciting golf. The 8th is a lengthy par 3 from the back playing in excess of 220m. The hole is set through an old stone wall, splitting the hole along its width. A large bunker placed short of the green is hidden by the stone packed wall, waiting to receive the poorly struck tee shot. The green, somewhat detached from the putting surface, making the recovery of an over hit tee shot well challenging. A beautiful golf hole, displaying authentic detailing. With so many tee boxes, the 17th can be set up with varying distances and by also changing the angle of the tee shot, one gets a larger view of the green, instilling more confidence in the attacking shot. A good variation. The 9th coming in is a lengthy par 5 playing 568m. 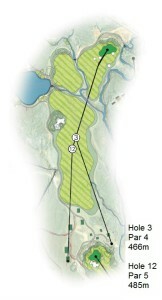 The hole dog-legs to the left with a wide fairway split into two by a large bunker. 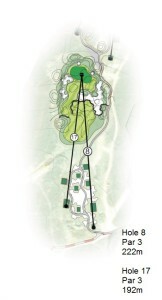 The front 9 should see most players playing on the right-hand side of the fairway which will be defined by a bunker on the right edge and a pot bunker in the distance. 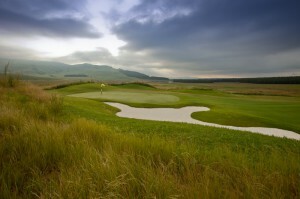 Most players will not go for the green in two and will play to the lay-up area which is defined by a bunker on the left just short of the water hazard. The green sits perched with only one pot bunker on the right just over the narrow water hazard. A large swale behind the green awaits any shot over hit, so distance control is key. The 18th plays from a tee box well left of the 9th tee box. Playing slightly shorter than the 9th and increasing the angle of the dog leg, the tee shot invites one to take on the left part of the fairway enticing the longer hitters to go for the green in two, a great risk and reward scenario.